After many years of service in the Hamilton community, we feel confident that we can cater to your needs. We get the job done and we don’t just meet expectations; we exceed them. Our customers keep coming back because we’re dependable, knowledgeable and pleasant to work with. Contact us today at 905-573-1882 to find out how we can help you. It’s our pleasure! All scanning and quote charges waived when we do the work. 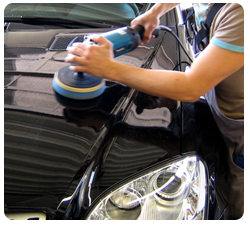 At Super Clean Car Care & East End Auto Collision, we specialize in auto and car detailing in Hamilton. Please visit us again at SuperCleanCarCare.com, AutoDetailingHamilton.com or CarDetailingHamilton.com if you are looking for a professional team to assist you with car and auto detailing in Hamilton and the surrounding areas.